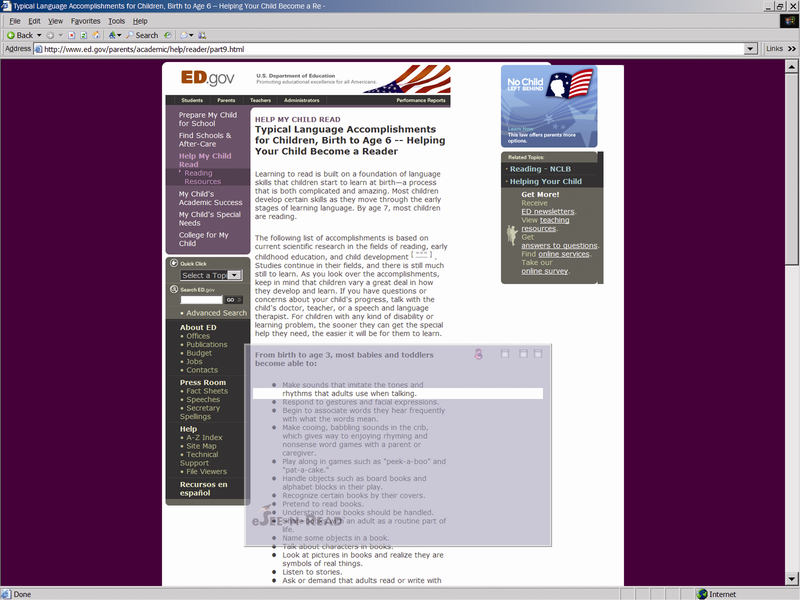 eSee-N-Read™ offers all of the benefits of See-N-Read® Reading Tools (and much more) right on your personal computer. Accurately read web sites, on-screen documents, spreadsheets, even standardized tests. 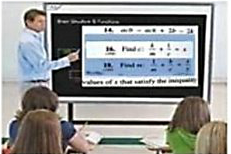 The reading strip/ tool works with interactive white boards and PC projection devices. 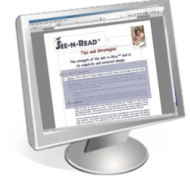 eSee-N-Read™ is an innovative electronic reading tool that enhances your on-screen reading experience by highlighting information in a clear reading window (ReadBar™). The moveable and shapeable ReadBar™ is surrounded by a transparent shaded area that allows on-screen visibility while reducing distractions, screen glare and eye strain. See-n-Read® Reading Tools’ design (U.S. Patent No. 7,954,444) is based on research in reading, learning theory, visual discrimination, cognitive processing, ophthalmology and psychology. For the moment, IPads and other mobile device programming does not allow “screen overlays”, which is how eSee-N-Read™ works, so there is currently not a mobile version of See-N-Read® Reading Tools. They told us that they lay the hand held See-N-Read® right over the screen of their tablet and it works just like using a book!